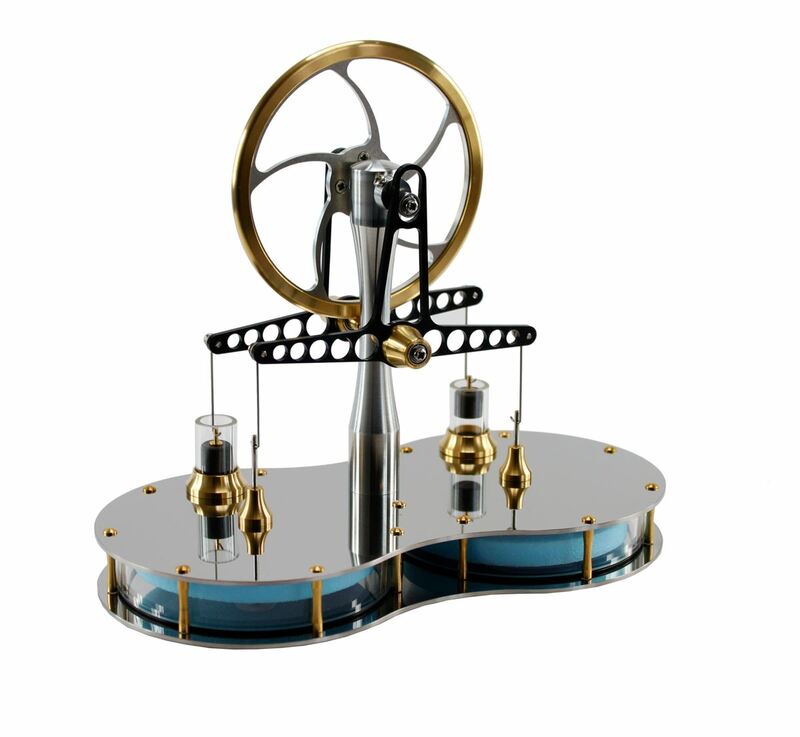 The Kontax twin cylinder low temperature differential Stirling engine is an excellent demonstration of a heat engine, showing with one spin of the flywheel a clean and simple way of converting thermal energy into motion. This engine will operate from many heat sources, including hot water, computer monitor, TV and the human hand. As long as there is a small difference in temperature between the upper and lower plates this engine will run. Every one of these engines has been tested to run off the heat of a hand. 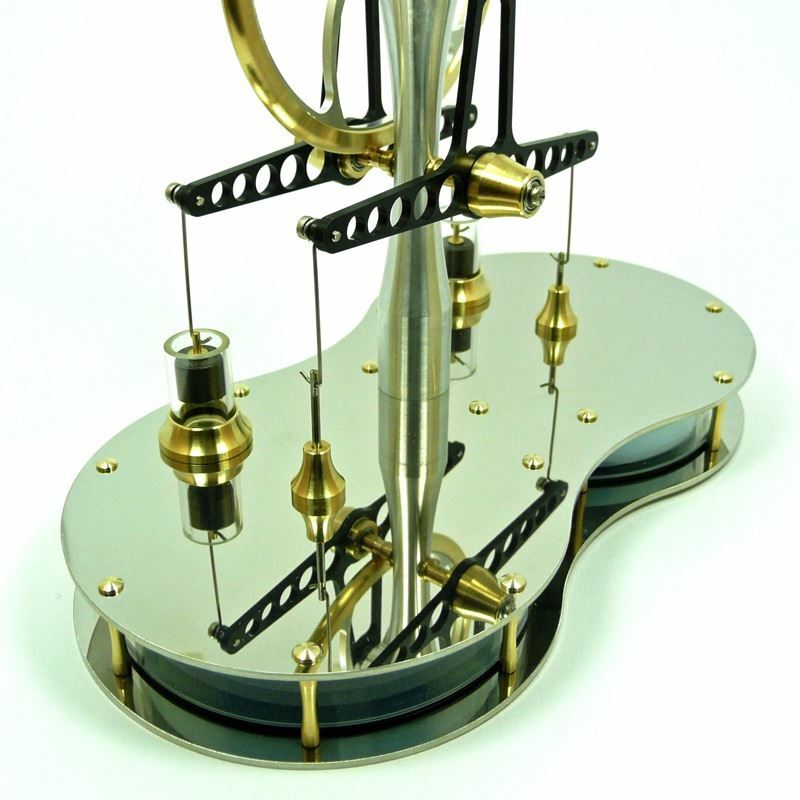 This engine has been meticulously engineered. 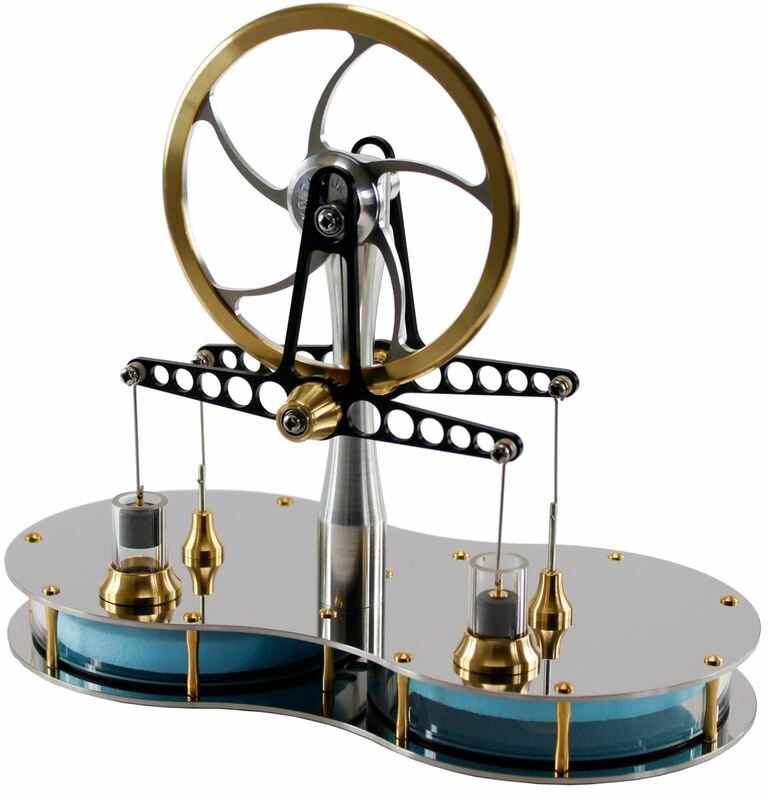 As any Stirling Engine enthusiast knows, friction is your enemy in LTD models. With this in mind, all potential sources of friction in this engine have been eliminated. Another common problem with LTD Stirlings is heat transfer between the plates. Again, all possible routes for heat to transfer directly between the plates have been eliminated. 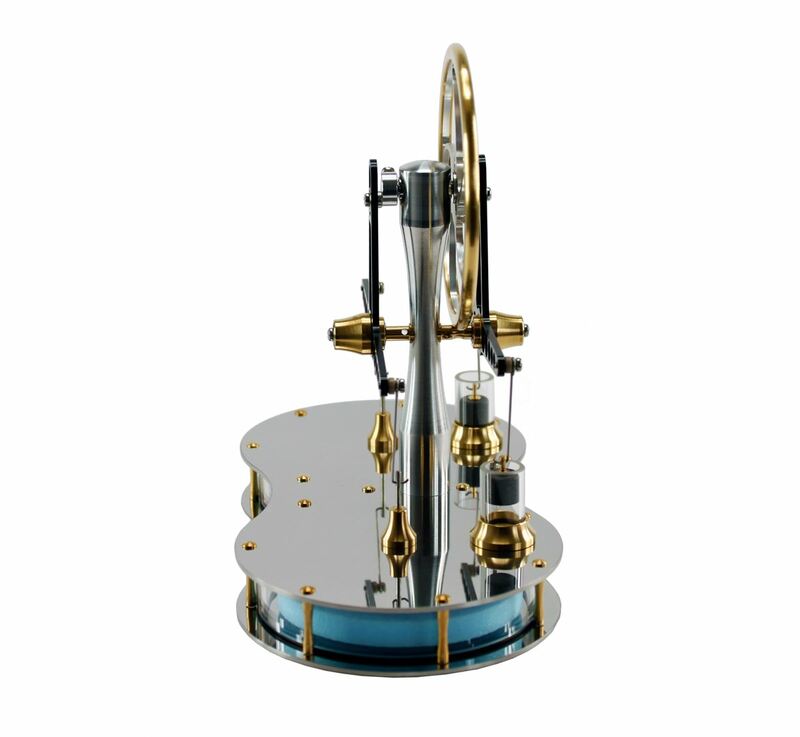 Based on the pioneering work done by Dr Senft at the University of Wisconsin, this model has been engineered in England, manufactured in England using hi-tech CNC equipment, and is sold from England. 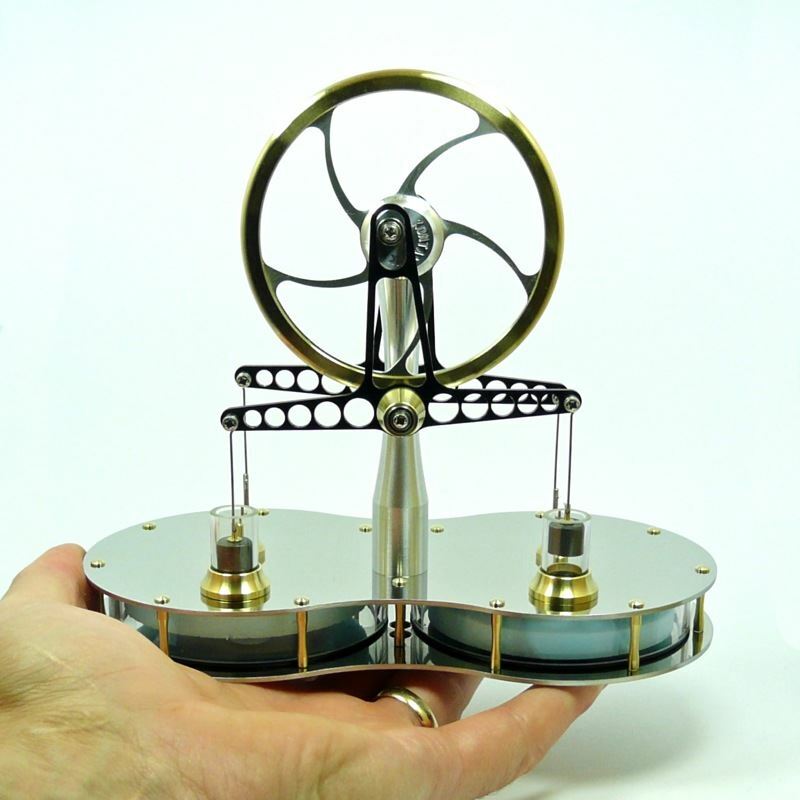 A large number of schools and universities have bought our engines for educational use, the transparent chamber and cylinder make it very easy to explain the Stirling cycle to students. Many of our engines have been kept running for years on top of coffee machines, computers, fax machines, etc. in shops, kitchens and offices all over the world. Many customers take great delight in running our engines on a bowl of ice or snow, where the engine happily runs, but backwards.